A sentry of Indian Reserve Battalion (IRB) of the Punjab police was allegedly shot dead by his colleague at the entrance of the high security residential zone of the Punjab Government in Sector 39, here tonight. Two schoolgirls missing from the city since the past week have been found living in rented accommodation in Bageshwar, Uttarakhand, allegedly with their school teacher Sunil Kumar. In a blow to those who have started constructions in Nayagaon, Nada, Perch and 19 other villages, the Greater Mohali Area Development Authority (GMADA) has decided not to regularise such constructions as these fall in the forest area. Following variations in contents of an affidavit submitted before the court by a major general heading the Army’s legal wing and statements made by a representative of Army Headquarters, a Division Bench of the Delhi High Court today directed the central government to file an affidavit listing the service and posting details of the major general. The death of six-year-old Aman Luthra is a closed chapter. Eight days after her death, her father, Parminder Singh, has reached a compromise in writing with Sarthak Government School here, which says he no longer wants to pursue the case. It was a distinguished body of think tank - academics and bureaucrats - that came together for the opening day of a two-day seminar on “The media and foreign policy in a globalised world” at the Centre for Research in Rural and Industrial Development (CRRID), Sector 19, today. To provide accommodation to UT employees, construction of different categories of houses is at an advanced stage across the city. While the Planning Commission put the social cost of road accidents at a whopping Rs 55,000 crore for 1999-2000, constituting about 3 per cent of the GDP of the year, a little was done to bring down the rate of accidents. A team of officials of the municipal corporation’s pest control department has started treating beehives to control the bee menace in the city. Cold returned to the region as rains continued to lash the city. 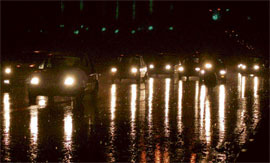 As weather conditions continued to change, Chandigarh recorded 7 mm of rain today. Met department said the unseasonal rains might continue for some days. In response to a news item ‘Murder; son casts doubts over probe’ carried in the columns of the Chandigarh Tribune on February 26, inspector-general of police (IGP) S.K. Jain today said the investigating officer had been directed to keep Col R.K. Agnihotri, the victim’s son, informed of the progress in the case and also to consult him on regularly regarding the line of investigation. The Chandigarh state branch of the Indian Medical Association (IMA) has urged the inspector-general of police (IGP), Chandigarh, to withdraw the case that stands registered against the owners of Deep Nursing Home, Sector 21, for medical negligence leading to the death of a patient and her child. 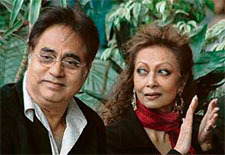 Legendary couple Jagjit Singh and Chitra Singh made a rare public appearance at the Strawberry Fields World School (SFWS) here. They appeared at home with children, eager to exchange words, hugs and smiles. It was as if they had found lost innocence…. Since the time they were recarpeted, they have begun to peel off. 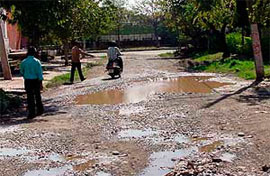 Roads in the city are as bad as they can get with potholes dotting all internal sector roads. Though the Municipal Council has spent a fortune on the recarpeting of the city roads and the bridges and roads section of the PWD, too, has pitched in by carpeting its share, the ground reality is that roads are in urgent need of repair. Candidates who had contested the Punjab Assembly elections from the Kharar constituency have been imposed fines for putting up posters and banners at unauthorised places. Naib Singh and his daughter Mandeep Kaur were injured after they were allegedly attacked by two youths at their residence in Raipur Rani, near here, today. They were admitted to the General Hospital, Sector 6, where doctors referred them to the PGI. Representatives of the park development committee (PDC), constituted by the Municipal Council, today met deputy commissioner Neerja Shekhar to lodge their protest against the “uncalled for” queries on development issues by welfare bodies. An employee of a local industrial unit today died after a lift fell on him. Three vehicles, including a car and a jeep, were stolen from the city on Saturday. Balraj Krishan of Sector 22 reported to the police that his Maruti (CHK-3988) was stolen from his residence on the night of February 10. Hemant Contractor, chief general manager, SBI, Chandigarh Circle, today awarded CGM’s trophies for the year 2005-06 to branches, modules and STCs who excelled in the field of community services banking. 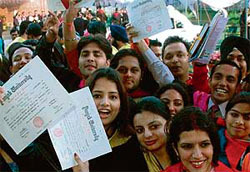 The Panjab University campus students council today revived the inter-college Chandigarh youth festival SINM -2007 (students in the new millennium) after a gap of six years here. The Chandigarh education department is initiating the process of admissions to pre-nursery and nursery classes for the government schools of the city. Archo, the annual fest of the College of Architecture, witnessed some close contests among all houses - Maurya, Kanishka and Kalinga - in various cultural and sports events today. Around 750 works of art are on display at the annual art exhibition of the Government College of Art, Sector 10, which opened here today. Home secretary Krishna Mohan inaugurated the exhibition which provides a platform to students of all four streams - applied arts, painting, graphics (printmaking) and sculpture - to display their creations. Ten Class VI students of Yadavindra Public School, here, got 15 shields in the Young Learners’ English (YLE) examination conducted by the University of Cambridge. The 31st annual convocation of GGDSD College, Sector 32, saw the conferring of degrees on 824 students here today. Panjab University vice-chancellor Prof R.C. 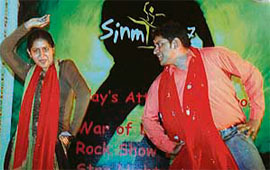 Sobti presided over the function. Pre-nursery, nursery and K.G students of Stepping Stones Senior Secondary School, Sectors 38-A and 37-D, celebrated Song and Rhyme Day on their premises in Sector 38, here, today. The Democratic Youth Federation of India and the Guru Gobind Singh Sports Club jointly in collaboration with the Nehru Yuvak Kendra, Chandigarh, has decided to organise a free eye check-up and operation camp at Dadu Majra village on March 22. The fourth day of the Chaudhary Vishnu Pal Singh Memorial All-India Open 9-Ball Pool Tournament saw a major upset as unknown Rajat Khaneja defeated current national snooker champion Alok Kumar 7-6 in a well- contested match in the knock-out round. The tournament is being played at Mohali Club, Phase 7 here. 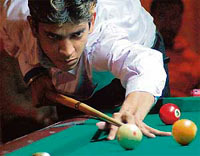 Local lad Sumit Talwar readies to play shot in the 9-ball pool tournament at Mohali Club, Phase XI, on Monday. — Tribune photo by Vicky Gharu. With top lady golfers turning pro, the field is wide open for this year’s 15th Chandigarh Ladies Amateur Golf Championship, which begins on the lush course of the Chandigarh Golf Club on Tuesday. The first national Twenty20 cricket championship will be held next month here. 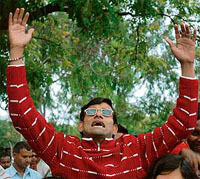 The local D. P. Azad Cricket Academy, set up last year, will start fresh admission of budding cricketers from March 14. Superb batting by Tej Gobind (65 runs off 36 balls, 3X6, 4X4) enabled Godrej Cricket Club to beat Numero UNO-XI by 62 runs in the 4th Bharat Kehso Gupta Memorial League cricket tournament. The tournament was held at the PCA Stadium, here yesterday. Swadeep emerged winner in 100m in the boys’ category, while Navneet won gold in the girls, during the athletics meet of the Homeopathic Medical College and Hospital, Sector 26, which was held recently. The Chandigarh administration has identified 174 posts for immediate filling to maintain essential healthcare services in the city. Ranbir Singh Khatra will be SSP, Mohali, while Harjit Inder Singh Grewal is made deputy commissioner. The latter will replace Tejveer Singh.